12 brand new shades inspired by stones and metals. 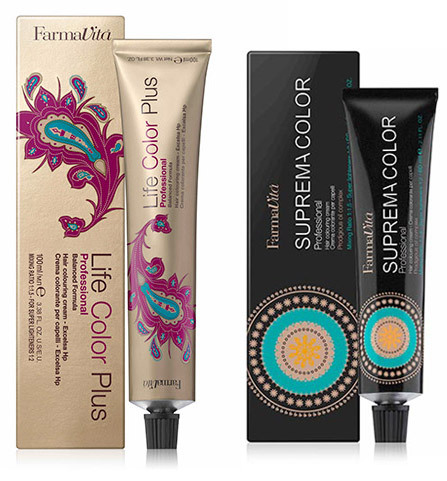 THE MINERAL SHADOWS COLLECTION IS AVAILABLE IN LIFE COLOR PLUS (100 ML) AND IN SUPREMACOLOR (60 ML) LINES. 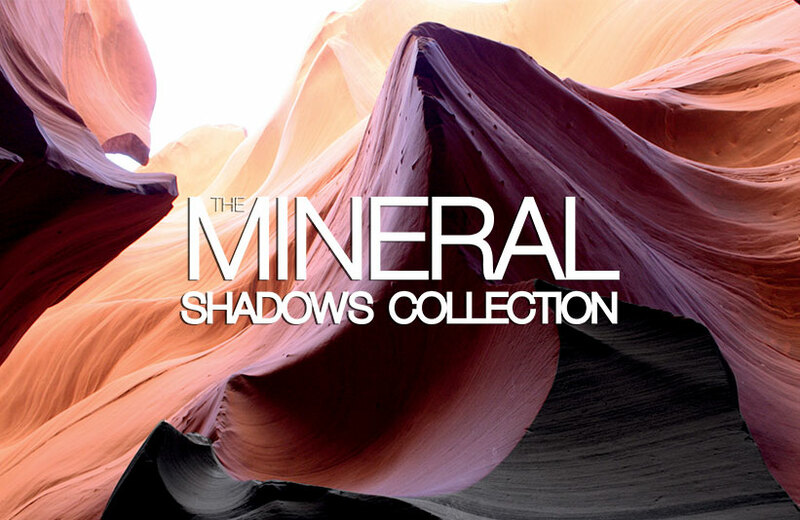 Farmavita introduces the Mineral Shadows collection, 12 brand new shades inspired by stones and metals. Mix the Mineral Shadows shades 1:1 with Tone On Tone Cream Developer. Application Time: 30-35 minutes. The Mineral Shadows shades should be used to color tone-on-tone, lighten up to 1 level. In order to darken lighter hair, mix the product with Cream Developer 10 Vol. (3%). It is recommended to bleach the hair first (level 10-12), then apply Amethyste Silver Shampoo, leave on at least 3 minutes, until unwanted yellow tones are removed. Apply the Mineral Shadows shades as toners. 1) Clients are very happy with the Mineral colour shades, but they also say that the ammonia smell is very strong. 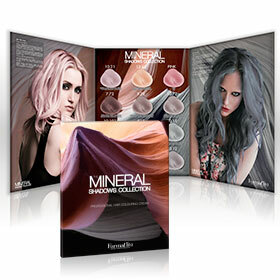 Yes it’s true, because some of the the Mineral colors ( from tone 10 to tone 12 ) like all the metallic colors in the market contains an high % of ammonia in order to get the best color shadow effect, so we suggest you to start mixing the Mineral color with the developer ( the best is 3% ) 10 min. before the end of the bleaching application time in order to give time to the ammonia sent to evaporate and in order to don’t smell ammonia during the color application. For example if you need to bleach the hair for 30 min. you have to start to mix color & developer after 20 min. and before applying it mix 1 more time. 2) Our clients love the Mineral colour shades, but complain for itchy scalp. Yes, it’s possible that some clients with sensible scalps got the mentioned problem. In this case my answer is the same of the previous one: start to mix the Mineral shadow color with the recommended cream developer (the best is 3%) 10-15 min. before the end of the bleaching application time in order to reduce the ammonia power. But the most important things is to don’t stimulate the scalp before bleaching and after when you apply the silver shampoo. In this case, we suggest you to don’t wash the hair before apply the bleaching powder, second when you wash the hair with the silver shampoo, don’t touch the scalp massaging it with your fingers, but apply the silver shampoo on the hair combing the shampoo from the roots to the lengths for 5 min. In this way the scalp is not stimulate and it will absorb less persulfate developed by the bleaching and ammonia from the color. By the way not all the Minerals contain the same % of ammonia: the Minerals color that contain the highest % of ammonia are: 12.43 - PINK - 912. The Minerals with tone 10 contains the same % of ammonia of a 10.0 and all the others contains a medium % of ammonia like a 6.0. This is important because it means you cannot apply all the minarals in the same way. For example, you can apply 6.12 like you apply a 6.0 or a 6.7 and not like when you apply a 12.43 The 6.12 - 8.12 - 7.72 - 9.72 are Mineral colors with a lot of pigments and low ammonia so may be you don’t need to bleach the hair or just a little bit in order to get the same tone. Always perform an allergy test 48 h before each coloration. Strictly follow safety instruction on the color box. 3) The colour is not lasting. Yes, it’s the feature of all the Minerals & Metallic colors in the market. 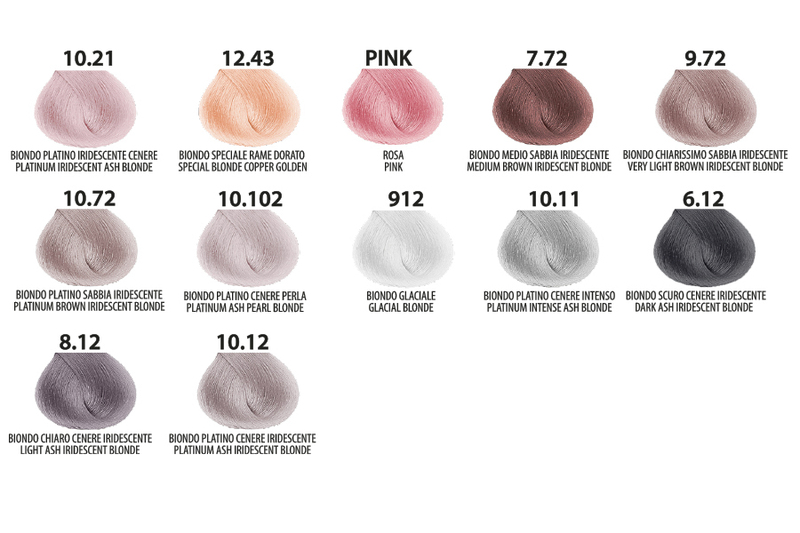 One of the reason that Farmavita add the word “shadow” after Mineral, it’s because these colors have been developed in order to give a shadow effect, not to get a crazy silver or pink effect. The only way to don’t get any complain from your customers, it’s to inform them that the Minerals fade the color before than a classic color. 1. Don’t bleach some already bleached hair, because the hair will not keep the pigments in. 2. We always recommend to apply the silver shampoo before applying the Mineral colors, not because we want to sell more, but because the silver shampoo can help to take out the yellow in order to get a white base without damaging the hair and helping the pigments to penetrate better into the hair and giving a longer color effect. 3. It’s better to use a 3% developer than a tone on tone for long lasting color. 4. Leave the color at least for 30 min.